Books and pups? It doesn’t get much better. 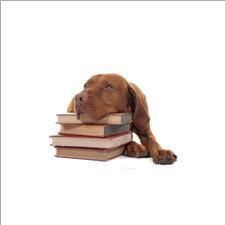 Join us and read to a dog in the library! Certified therapy dogs from the Champaign-Urbana Canine Connection will visit the library on second Saturdays to promote literacy. All readers and dog lovers alike are invited to grab a book, ruffle some fur, and read to a dog in a judgement-free zone. Please note that program length and number of dogs may vary.